We host all types of parties from children's birthday parties to special events as well as Field Trips. Call us for a customized party or special event party plan, options and details. 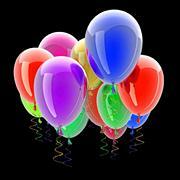 Children's Birthday Parties - Pony rides, games & more! Customize yours today! Call for details & pricing. Special Event Parties - customized to your needs. Field Trips - church, school, day care groups, etc. 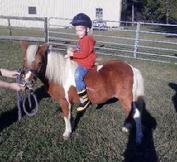 - "A Day at a Horse Farm" - Learn about activities that happen on a horse farm daily. Contact us today for details & pricing & to reserve your date. We look forward to assisting with your party plan.